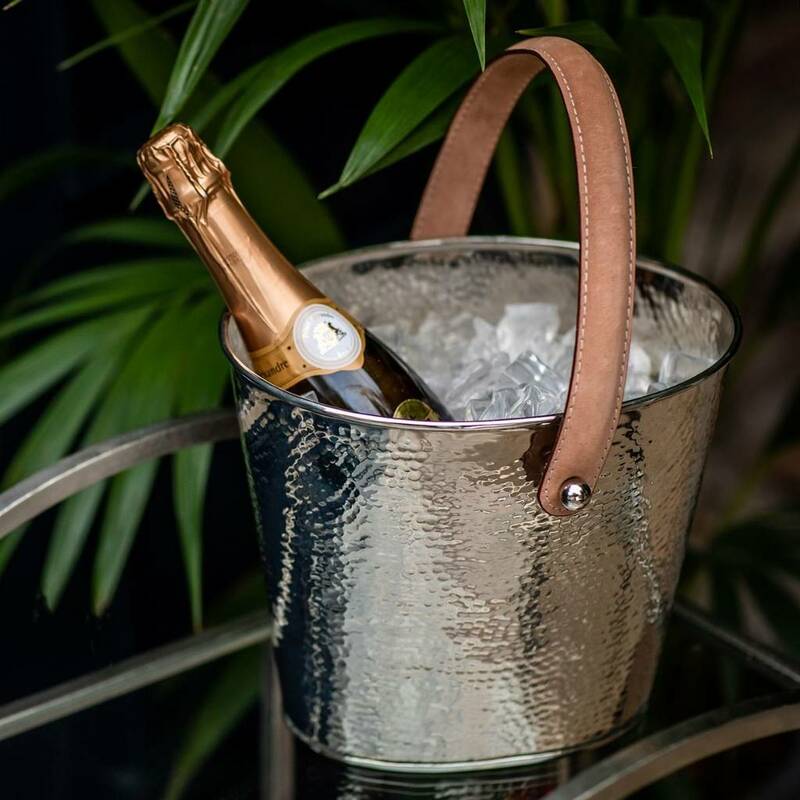 A beautiful hand crafted metal wine cooler with a leather handle. 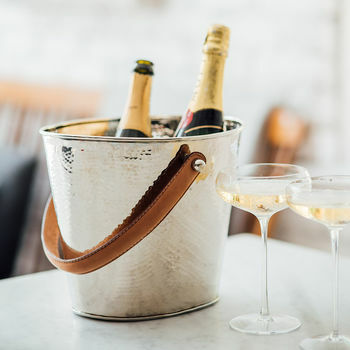 It holds two bottles of wine or champagne and keeps drinks perfectly chilled throughout your evening. Our wine coolers also make great gifts for family & friends.